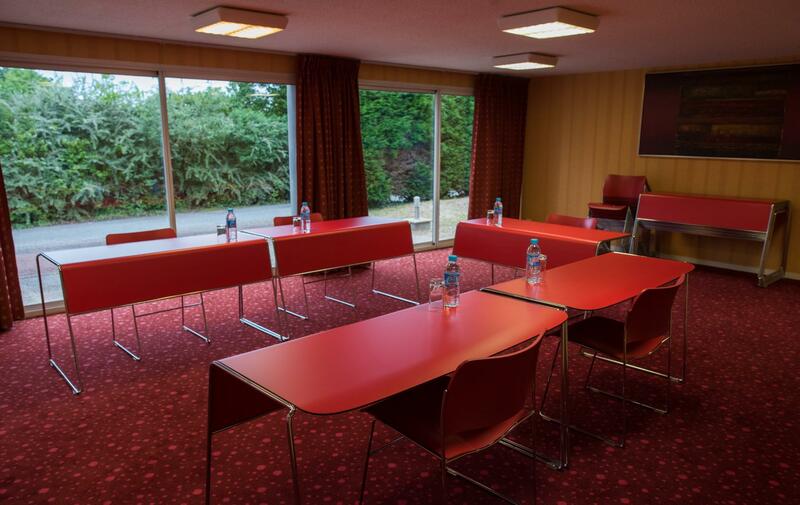 Located near to Angers and Saumur and 1 hour from Nantes, the Moulin Cavier Domaine has a 50m² meeting room perfectly equipped to host your seminars, meetings or training sessions in a green and quiet setting. 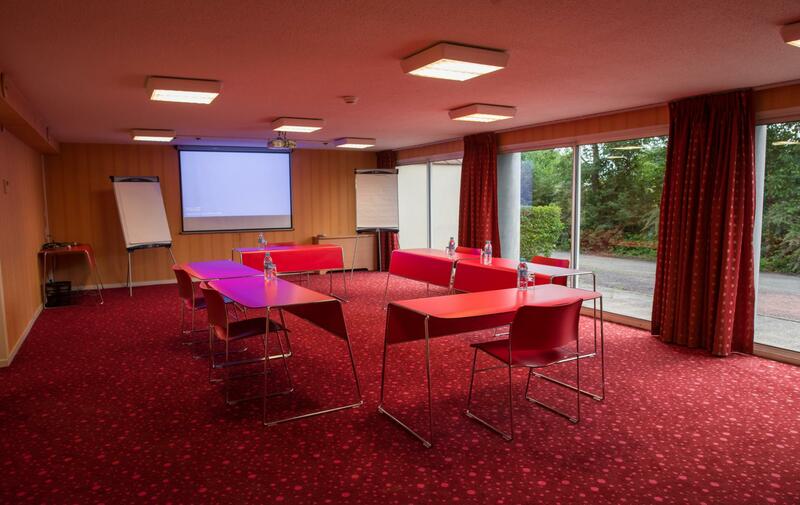 For a seminar of several days, a day or half a day... our air conditioned room equipped with a whiteboard, flipchart, overhead projector, wifi access and a video projector on request, has a capacity of 29 people with tables in "U" and 50 people in "theatre." configuration For meals, you have the choice between the traditional menus of the brasserie and the semi-gourmet menus of the restaurant Le Moulin housed in the cellars of the latter. On sunny days lunch breaks can also be taken on our lovely terrace overlooking the mill. And to conclude your studious working days, nothing like a coffee break beside the pool. Feel free to send us your requests, we will study these and propose the adapted solutions.